Akita, With pleasure, happily ate the offered piece from her mother.. as she became more distracted with the pack territory. as she finished the pup struggled to consume more on the carcass as she tried taking bites off herself. before sighing in frustration. Ken emerald hue pools locked forward, his steps leaving trails in the leftover snow. During his walk, his thoughts scattered, unaware of the two presence that was following him. But a voice from behind said: "Ken I really am sorry." Ken came to a halt near a dead wooden tree, his lobes raised. "Chelsea?" he thought. After Chelsea's voice came another: "Ihana died to save another life," "I know it is not much comfort, but she must have known the danger she placed herself in was great…" "I am sorry for your loss," Kendrick the Lead Proti, didn't know who Shadow was but he did know she was his colleague. Ken lowered his agonized gaze to the ground. He could feel tears building up, the name of his child was enough to make the sad male cry. "Nana..saving a life... " thought Kenny. His legs quivered, and he sat his haunches on the ground. "My child..your such a brave girl, risking your life for another." The tears that were built up in his eyes began to fall like a waterfall down his chin. He took what seemed to be 5 minutes, to cry his head out. But when the tears finally drained, he peeked over his shoulders the green of his eyes lighten from his recent tear work. "T-Thank You both for your condolences, I greatly appreciate the comfort. Please, if you don't mind...Would you show me my daughters resting place?" Nakita watched as Akita tried to take a bite out of the carcass but could not because her teeth where not sharp enough yet.Nakita took anouther junk out and placed it infront of her cub. "if you eat that you can go and play"
Nakita said to her pup it's a warm smile. The bright, warm sun shone through the Koti den entrance. The grey mother Proti slowly awoke, letting the light shine on her pelt. Her eyes slowly opened and she gave a yawn, showing her sharp teeth. She looked down at the grey and brown pup that was known as: Boulder. He was still asleep. Amethyst gave gentle nudges towards the sleeping pup with her maw. "Come on... Wake up... It's a new day..." she whispered towards the sleepy Boulder. As Boulder awoke, she gave him some comforting licks down from its head all the way down to its tiny thin tail. He felt very fluffy. Amethyst then Felt the urge to eat again. If Boulder was going to get his feed, then she had to get her feed first. She spotted a carcass not to far from the den. Walking towards it, she slowly sank her teeth into the carcass, juice getting all over her muzzle. After she had her fill, she went back inside the den, hearing Boulder crying. She layed down where he could nose his way towards her stomach and begin to nurse. Boulder remained asleep. He then awoke when he felt his mother nudge him awake. He squirmed around a little. Whining when he noticed his mother was gone somewhere for a quick feed. Crying, he got into a little ball, wishing he had his feed. When he noticed his mother came back, he nuzzled close to her and finally got his feed. The pup nodded with energy. 'can go and play' was the terms that had hyped her up... now was her chance to meet others. Gobbling down the meal gently, she skidded off not far from mum. her tail wavering in the air as she pounced... clumsily bumping into others as she yelped softly. meaning she had apologized before proceeding on. 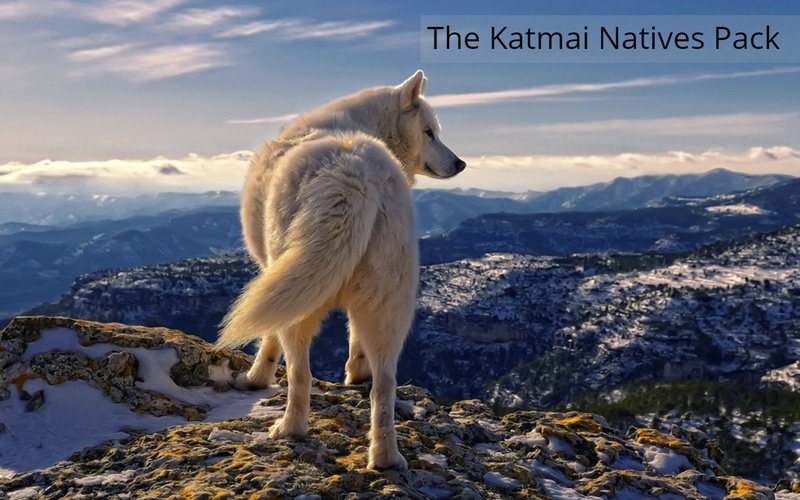 Nakita watching her little pup run around, her tiny tail up in the air.In a way Akita was a lot like Nakita was as a pup a bit clumsy and constantly appologising to other wolves as she bumped into them. Nakita said to her pup a small smile on her maw. the pup turned and giggled. "i will, momma," She yipped. as she swerved around the assigned dens. as she caught sight of an lone mole. she would sprint forward, her teeth gnawing on the prey as she had a fit of laughter as the pup tossed the mole around, as it squealed in terror, it didnt have much of an escape. while she chased the rodent around the area before it had gone into a burrow... the pup whimpered, her stubby claws scraping the hole with no effect as she continued on. As Nakita laid down watching her pup she heard her whimper and she ran over to help her. She thought the pup was hurt but then she realised she was only whimpering because she could not get to the mole. Nakita then scrapped her claws across the mole den , scraping away the hard surface of the ground. "There you go, it should be soft enough now for you to dig"
Akita Watched as her mother rushed toward her and nodded. Yipping as she could smell the mole and hear it scraping inside. her paws clawed the soft soil as she cautiously stuck her muzzle in... bringing it out with the captured prey in it as it Squealed and shrieked in terror. The ivory adorned fae averted her glacial tinted optics to stare into the forests depths, and her ears folded back into her skull. It almost felt as if she was intruding just by listening to the quiet broken breaths of a wolf trying to hide his sorrow. Remaining stiffly sitting at Chelsea's side, Shadow let the silence drag on pierced occasionally by an unsteady breath. As the time passed silence restored itself, for a fractured moment the wind whistled its mournful lonely tune in it's passing. Hearing Kendrick's request, the fae's ears swiveled forward, she was not surprised the male wished to see Ihana's resting place. Silently dipping her crown toward the male to give a silent answer, the ivory hinted fae rose to her paws and pivoted back toward the den site. Padding slowly through the snow, the fae's sleek banner twitched, beckoning Kendrick to follow. 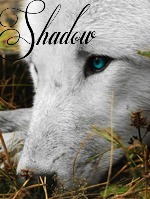 Casting a short glance over her shoulder, Shadow hoped Chelsea would follow. A part of Shadow no longer craved the path of solitude, it may have saved her from sorrow and death but times had changed, there were others around, each with a different way of coping. Exiting the woodlands, the fae's rhythmic stride altered as she padded up the hill's rise and paused at the hill's crest. 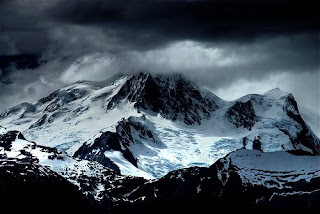 Looking downward, the gentle hill of newly dug earth stood out amongst the white canvas, it had caught Shadow's eye, the grave which she had dug a few days ago which now served as a tomb for Ihana. Rooted to the ground, the fae looked back at the multi toned male, his emerald pools seemed filled with caged sorrow. The fae could not bring herself to draw nearer to snow white wolf's final resting place, she thought it best to remain distant and let the male grieve alone with his daughter. Daniel padded slowly up to Kendrick. She sat in silence for a few minutes, allowing him some time to grieve. "Hey... are you okay?" The Proti asked, giving her friend a comforting nudge. "Ihana's time may have been short, but there is nothing you could have done to prevent this, so even if you aren't, don't blame yourself." She murmured. Dark snarled quietly when the bear got up in a confused manner, he realized it was quite small for it's species. "Must be an adolescent... won't be long before it's an adult though..." he yawned, it may have been small for a bear, but it was still big. Without thinking, Dark charged again, taking advantage of it's dazed state and ramming it in it's side, making it fall over. He sank his teeth into it's throat and shook his head violently, causing the bear a lot of pain. Dark jumped backwards and let the bear stagger up and scamper away. "Pathetic..." he snarled before padding off to continue patrolling. Cinder wakes up from her nap. She paces around thinking about what to do. The day she killed a mother cougar came to her mind. Tears fell from her eyes again. The kitten's mother won't come home, she whispers to herself. Thinking about the time when a cougar killed her best friend, Etta, she wiped the tears out of her eyes and walked around to patrol the den. Luna now sad, wonders to the cliff and lays down. she looks out over the clearing and wonders what to do. She knew kenny would have to figure things out and she honestly didnt know some of the other wolfs. she sighed and then her tummy growled. she didnt want to get up but knew she would have to soon. Ken slowly rise to his pads, turning his body to properly see the females in front of him. The Proti male gaze rested on the albino pelt she wolf Shadow who was now beckoning him to follow, showing him the way to Ihana's grave. Kendrick slowly pursue after the Proti female, stopping shortly next to Chelsea, giving her a brief nod then walking forth again. Kenny quietly strolled after Shadow, staying a few feets back giving himself some space and Shadow. He did not once look up, instead locked his gaze halfway to the ground. While walking to Ihana's tomb, Daniel one of Kendrick's best friend and colleagues padded up to him. "Hey... are you okay?" Ken slightly looked up, locking his gaze to Daniel's amber eyes and he responded, "Not really.. but I'll be okay..hopefully." There was a silence between them, after what he said but Ken lobes swayed to the muttered voice of Daniel: "Ihana's time may have been short, but there is nothing you could have done to prevent this, so even if you aren't, don't blame yourself." Instead of speaking, he gave his friend a nod and continued towards the direction Shadow was taking them. Once they had reached Ihana's death bed, Ken whispered something to Shadow, "Thank You." Then he cautiously walked down to his daughters grave, smelling the fresh fertile dirt. Daniel flattened her ears at Ihana's grave. She gave her friend a gentle nudge, backing up a few paces to give him space. She bowed her head, knowing how much Ihana meant to him, now that he didn't know where Sharon was. Daniel wanted to ind Sharon so bad, she couldn't bear to see Kendrick like this. Ken let out a soft whimper, and took one more step closer to his daughters grave. He closed his eyes and bowed his head down. "I'm sorry Lil Nana if I wasn't there for you, I wish I could switch spots with you. You didn't deserve to die so early, my child," thought Kendrick. Opening his agonized oculars once again, he raised his head and glanced to Daniel. Daniel glanced uncomfortably at Kendrick and looked away, making it look as if she didn't really want to be around him. She backed up a few more paces, fidgeting. The golden fae blinked her amber eyes, casting small glances in Kendrick's direction. Blinking, Ken observes Daniel's uncomfortable behavior. He tilted his head to the side, studying the way she is reacting towards him like a human would do while watching a predator. While watching he saw her casting small glances at him. "Am I making her feel awkward?" thought Kenny. He let out a small chuckle and sighed, turning to the opposite direction of Daniel, he slipped off. Daniel hesitated as she watched Kendrick slip off. As much as she didn't want to, she followed him, wanting to help him through his grief, considering that's her closest friend anyway. After finally giving in, she picked up her pace and caught up to him. While walking Ken inhaled the mountain breeze, wanting to ignore his brokenheart. But he knew he couldn't, his weakness of losing someone was visible to anyone who took one look at him. He didn't want to bother anyone with his negative behavior. "I wonder what that stranger (Chemical) is thinking," thought Ken. He knew from his recent behavior towards the male, must have made him feel bad. Shaking his head Ken decided that he wasn't up to seeing the male yet. The scent of Daniel flowed through his nostrils and he halted. Yet again he glanced to her. It pained Chelsea seeing a friend like this, she lowered her head keeping her gaze to the ground. Her ears flickered to the sound of Ken's voice, looking up she nodded. The small female trailed behind Shadow, her head still low. Daniel stared at him for a few momenst with wide amber eyes. "Hi." She murmured quietly. "I know you probably want to be left alone right now, and your probably mad at me for following you, but I needed to see if you were okay." She blurted out a flurry of words. Luna decides to get up and walk. she soon comes across some wolves and thinks she sees kenny. she smiles lightly and walks up to them. "hey guys" she says softly. Ken weakly smiled at Daniel and said, "No i'm not mad. I'm glad you care, I just didn't want to disturb you with my negative mood." Another scent had enter the area. Ken turned to the soft voice and replied, "Hello Lu."